Hear what our clients have to say in our Reviews. We are proud to have so many repeat clients that also refer us to their friends, family & colleagues. Thank you Henry, thank you Homesearch Solutions for turning our dream into a reality. We couldn’t be happier with our new home. Once we had made our decision the speed at which Henry made our purchase a reality was something you could only get from the seasoned capable professional that he is. We were so happy with our experience using Homesearch Solutions. We were in the market for an investment unit in Sydney. Henry researched the market, made recommendations, found us a short list to inspect and ultimately we purchased a fantastic unit in Randwick. We would highly recommend Homesearch Solutions to anyone wanting to enter the real estate market and thank them for making ours such an easy, stress free experience. Henry and his team have helped us buy two properties and saved us time and lots of money in the process. You wouldn’t sell a home without professional help so I’m always surprised people try to buy one on their own. Having Henry there to find a place for us took away all the stress and made the whole process seamless and easy and we ended up with two amazing investments. I’ve worked with Henry at Homesearch for a number of years now. I’m always so impressed by the properties he deals with and at how incredibly happy his clients are with his service. I’d highly recommend Homesearch as buyers agents. Following a recommendation from a friend, we decided to get in touch with Henry to see how he might be able to help. In a rapidly-rising market, we were really struggling to find the time and energy to devote to house-hunting – but more importantly, we were fast becoming priced out of the market. Henry was fantastic from start to finish ! He was helpful, knowledgeable and – perhaps more importantly – patient. He understood our position and gave clear, concise advice and feedback – while remaining professional and impartial. So – within only a few months, he had sourced a property (a non-advertised, off-market listing which we would never have had access to if looking ourselves) and not only was it well within budget, but in a prime location. We would not hesitate for a moment to recommend Henry Wilkinson and Homesearch Solutions (in fact, I have already mentioned them to several people) and in fact, I can now not imagine attempting to purchase a property without their services. We have saved time, money and a whole lot of stress. Thank you Henry for helping us find our lovely home. We couldn’t have done it without you and have been recommending your services to our friends ever since! I was unsure about where to invest in the Sydney market. However, I contacted Mr Wilkinson/Homesearch solutions team he did extensive research on my part and where to invest doing a wonderful job. If you are tired of trying to find a home in this crazy housing market then Henry at Home Search Solutions is the best agent to help you. We had a wonderful experience and a great result using Henry from Homesearch Solutions who helped purchase our home on Sydney’s North Shore. Henry’s knowledge of the property market and his excellent negotiation skills allowed us to get a great deal done prior to auction. With such a large personal investment it gave us great comfort to have an experienced professional working 100% for us on the deal. We only looked at the properties that fitted our needs, avoided having to deal with agent after agent and simply didn’t waste any precious time at all. Ultimately Henry ran the entire process in a seamless manner for us and it was great. We couldn’t recommend Homesearch Solutions more highly. Henry was strongly recommended to us by a friend and we were not disappointed. After spending most of the year looking ourselves without much luck, soon after engaging Henry we saw a great place he was able to close for us 6 days later and importantly, prior to the next open home. As well as negotiating a very fair price, he was able to coordinate all the many pre-purchase checks and services allowing us to move very quickly and ensuring a successful outcome. He is thorough with his research, balanced with his views, and not emotive when it comes to buying in the difficult Sydney market. We would have no hesitation in using his services again. Henry took all of the hassle out of our latest house purchase which was completed while we were living overseas. He inspected lots of houses, took numerous photos, made offers, attended auctions and then made the final offer on the house we bought. He then ran around on our behalf for settlement. Henry took the emotion out of the decision making and ended up saving us considerable money. He also gave us great and objective advice throughout the whole process. We would thoroughly recommend Homesearch when buying Sydney property and while the fees are additional to the actual house price, we believe end up saving you money on such an important decision. We were very grateful to have Henry in our corner for our recent purchase of a house in the inner west. The sheer amount of time saved by streamlining the shortlist of places to view was incredible – we were no longer wasting our Saturdays viewing places that turned out to be inappropriate. When it came to auction time Henry’s expertise secured the purchase – I am certain that we would not have been successful at auction without Henry bidding on our behalf. In a competitive market like Sydney I wholeheartedly recommend Homesearch Solutions, the money and time saved by securing a place faster meant that for us the fee paid for itself. Henry was recommended to us by a friend having spent months looking at many unsuitable properties and missing out at auctions. Not only was Henry knowledgable and professional but he took all the emotion out of searching and provided us with a range of properties to view that answered all our criteria. Once we found the right place he got us in for a viewing a day before the first open day and negotiated a fair price for us. By the time the official first inspection came we’d already bought the house! Thank you Henry for all your hard work and we will always recommend you. As an expat living in Singapore, buying a property when you’re not on the ground can be very time consuming and laborious. Henry and his team provided a top-notch service, negotiated a price well below my threshold and made the process completely hassle free. We have used the Homesearch Solutions provided by Henry Wilkinson on a number of occasions. Henry was able to streamline our property search which saved masses of time. He was also able to negotiate much better outcomes than we expected. This a great value service that over delivers. I’ve just received glowing feedback from a client that used Henry and Homesearch Solutions for his recent purchase. Henry found a property that suited his requirements to the letter, negotiated a very favourable purchase price and secured the property quickly despite keen competition. Great result, thanks Henry! We appreciate the excellent service that you provided us on the purchase of our property. Your knowledge of the market, analysis of the properties inspected and good negotiating skills proved invaluable. We would be happy to user your services again and have no hesitation in recommending you to anyone else who is interested in buying a property in Sydney. I have gotten to know Henry over the last 6 years through my involvement with the Real Estate Buyers Agents Association (REBAA). Henry is one person that you can always rely on and he has the highest of integrity. I would certainly recommend Henry and his business to anyone. With our sincere thanks for a great job well done. We are indebted to you and your efficient and highly professional and skilled work in helping us to secure our Sydney “bolt hole”. It’s a fabulous apartment and we know that it’s thanks to you that we bought well. We wish you ongoing success and know that using you as our buyers agent was one of the wisest decisions. I’d also like to thank you more generally for your assistance over the past month or 2. The excellent service you provide is backed by calm, assured advice and put simply you gave us the confidence to navigate the bewildering minefield that is the property market. We’ll be sure to recommend you to any of our friends. Thank you for your assistance in our recent property purchase. Your professional approach and expertise was very helpful at every step. We would have no hesitation in recommending your services to any potential buyers. My wife and I had been thinking out buying an investment property for years, but just could not commit. When we engaged Henry Wilkinson, we knew his extensive industry experience was what we needed to take that leap of faith. Henry totally understood our requirements, and handled all the legwork of searching for and visiting numerous properties. We especially appreciated that, because time is precious when you have a young family. When Henry put forward potential properties, they were exactly what we wanted—in price, style, and construction. I highly recommend Henry to help you with your investment; we enjoyed the experience so much, we employed him to help us again with a second property. I live in Hong Kong and recently engaged Henry Wilkinson from Homesearch Solutions as my agent to purchase a unit in the eastern suburbs of Sydney. Henry understood my requirements very well. He was quick in action, and could always give me good advice. 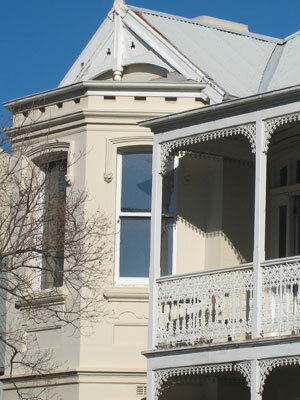 He is very knowledgeable about the property market in Sydney and thorough in the procedure and inspections/surveys etc. Without Henry’s help, I would never be able to make it happen. I have no hesitation in recommending Henry to anyone who needs a buyer’s agent. My wife and I recently engaged Henry Wilkinson from Homesearch Solutions to source a family home for us in the inner western suburbs of Sydney. We live in Melbourne and have two small children and so were not in a position to source those properties ourselves. Having said that, we would recommend Henry’s services even to potential buyers living in Sydney. After taking our initial brief on the type of house and suburb that we wanted, Henry helped to refine that list and then provided a list of suitable properties that met our brief in those suburbs. He continued to add to that list during the search process. Henry’s analysis of each property against our brief gave us a great degree of comfort that he was acting with our interests in mind and was not simply interested in us making a quick purchase. His thoroughness in identifying a range of suitable properties – some of which were not even on the market yet – also gave us confidence that we would not miss a listing. We felt at a distinct advantage to the buyers we were competing against. Once we had decided on making an offer for a property, Henry’s knowledge of the value of the house, together with his experience and skill in the negotiation phase resulted in a result that I am confident we would not have achieved had we acted independently. The good result in the price negotiations also more than offset Henry’s fees making the whole exercise excellent value for money. I could not recommend Henry highly enough. I used Henry Wilkinson as a buyer’s agent for my purchase of a house in the North Ryde area in early 2010. Both myself and my wife we making our first purchase in the Australian property market and found Henry’s knowledge and experience invaluable. He has a thorough knowledge of the property market and was always able to give advice on the value and potential of each property. Whenever a property came onto the market, Henry immediately undertook an inspection and was able to recommend or dismiss each property, this saving us time and making our search more focused. After viewing a house we liked, Henry was able to ensure all property surveys were done and reassure us of the results. Finally Henry was able to use his experience to bid for us at the auction and remain calm and composed when things got very pressurised, so that he was able to secure our property. I would be happy to recommend Henry. Henry Wilkinson of Homesearch Solutions acted for us in finding a property in late 2009. Henry helped us with both identifying and closing in on the property that we eventually bought and worked on the search for 3 months. We would recommend Henry’s services to anyone who is considering using such a service. By using him we were able to maintain a normal life, still going away at weekends etc. We found Henry to be focused, diligent and provided us with great advice and balance throughout. When we were losing our heads in the heat of the offer and contracting stages he remained cool and collected. For us as recent newcomers to Australia, and being unfamiliar with the process, this was invaluable. Sometimes we forget the price of our time in this hectic world. On reflection the price that we paid Henry for our time and for his guidance and organisation was true value for money! I am living in Malaysia but have decided to buy a property in Sydney for future stay. Considering the distance involved and the unfamiliar Sydney real estate market, I had to engage a buyer’s agent to source for a property. I searched the internet and eventually narrowed my selection to Henry of Homesearch Solutions. I was rather specific in my requirement in terms of locality, pricing etc, and Henry was able to advice on the practicality of my expectations and worked within my parameters. I was particularly impressed with his speedy responses and his sensible advices. I could sense that Henry was careful is his price negotiation to safeguard my interest. At times, I would request Henry to inspect properties of interest that I have spotted over the internet. Henry was very prompt and thorough in his inspections, and would be honest in his advice to reject the properties if they do not meet my requirement. When we found the right property, Henry was invaluable in his advice in carrying out the necessary due diligence prior to making an offer. Thereafter, Henry kept the pressure on the seller’s agent to ensure that the contract was exchanged. Henry was also actively liasing with the conveyancer and mortgage broker up to settlement. Living in the Southern Highlands, Henry has helped us buy a house in the Sydney market this year. Working as a team with Henry, we quickly identified our target suburbs and then worked realestate.com.au hard. Henry checked many possible houses and invited us to see those which fitted our brief. Henry made checking and buying our new house quick and easy. We are grateful for his help. Bravo Henry! Henry’s assistance and readiness made my search for, and purchase of, a Sydney investment property possible from the shores of Hong Kong. His service throughout was professional and I respected his judgements which at all times were impartial. Henry went beyond the scope of his engagement including assisting post-purchase with follow-ups and the like with the letting agent which was greatly appreciated. Having spent months searching and missing out on many auctions, we were advised by a friend to call Henry which was a saving grace the closer it got to our baby being born! Henry took all the hassle out of endless weekends searching by viewing on our behalf and thoroughly researching the area. We got an early inspection on the house we eventually bought because of Henry’s negotiation with the agent and the day it opened for viewings we had already exchanged contracts. Because we purchased before auction we were able to save a lot of money. We cannot recommend Henry’s service enough, he certainly knows the housing market, thank you Henry for all you did for us. We were referred to Henry through a very satisfied friend who had purchased a property in Sydney with his assistance. We were looking for a period family home in a very specific area of the Lower North Shore. We had been watching the sales results and were concerned at how competitive the market was. We also have small children and it wasn’t easy for us to view houses and attend auctions. Henry was invaluable. He showed us houses that were yet to be advertised, he helped us negotiate when we were overseas, he gave us advice as to a “limit” to pay for properties (in case one was forced to sell in the short term). When we did find the right property, he ensured we had our ducks in a row and kept the pressure on the agent until exchange. We also appreciated Caroline / Henry’s follow up, ensuring the house was vacated in time for our move, and support during the stressful settlement period. I would not hesitate to recommend Henry and Caroline. I lead a very busy work life & was looking for a beach house over many months. Finally I had decided on a couple of different ones, but didn’t know what to offer, how to get a confirmation of value or how to work the negotiation process. A friend of mine had recently bought in the same town as I was looking, & recommended I called Henry. He was amazing – responsive, thorough & really gave me the comfort of experience that I just didn’t have. He did all the negotiation & really gave me a peace of mind I would not have had without him. Using Henry saved me many thousands of dollars, but possibly more importantly I feel much more confident in the quality & certainty of my purchase. Thanks Henry! I recently decided to buy an investment property in Sydney. As I live in Melbourne and didn’t know the Sydney real estate market, I Googled for a buyer’s advocate in Sydney and came up with a large firm and Homesearch Solutions. After speaking to both organisations, I felt that Henry would offer a more personal service. I was not disappointed. Although I set a particular price range, after hearing what I wanted out of the investment, Henry suggested another price range and sent details of appropriate properties, one of which was very attractive. At the auction he bid confidently and I was able to get the property for $25,000 under the reserve. I inspected the property the week after the auction and Henry met me, showed me through, and offered to arrange rental appraisals. All this within 3 weeks of starting to look. I would certainly recommend Homesearch Solutions to anyone looking for a buyers advocate in Sydney. Buying an investment property several thousand km away was a daunting experience in several ways. The first challenge was to find a property buyer who was expert, reliable, trustworthy and accessible. We picked Henry Wilkinson after interviewing several agents. I was particularly impressed with his speedy responses, transparent fees and sensible approach. Henry established our needs and wants clearly, set realistic price ranges and did not bother us with unsuitable properties. His inspections were thorough and prompt and photos plentiful. Most importantly, his advice on a few occasions was not to proceed with properties that looked perfect to us on the internet but were found wanting on his inspection. This undoubtedly increased his workload but ensured we ended up with a great investment. The property we eventually bought was sourced and inspected by Henry through his contacts even before it appeared on the internet, allowing us a headstart on competitive buyers. As a busy medical professional I am paid to give expert advice and expect the same in return. My judgement in choosing Henry was proven correct, and I would thoroughly recommend Homesearch Solutions based on our experience. We have been very pleased with the help Henry has given us in finding a property in Coogee, when we decided on the house we wanted the process went incredibly smoothly. We got excellent advice on strategy as Henry knew the local market conditions so well and the vagaries of the local agents and their pricing ! We were searching for our family dream home in Sydney. Problem was, we were trying to find it long distance, from another city ! Henry Wilkinson at Homesearch Solutions was recommended to us and we never looked back. We provided a wishlist and an area and Henry did the rest. Homesearch Solutions’ databases gave us more information on each property of interest than we could have found ourselves. We were also saved the stress of possibly missing out on the right property by knowing that Henry was constantly researching. Whenever we saw a property that interested us, Henry would inspect and provide us with an objective list of “pros and cons” by email within 24 hours. When we found our perfect home we flew to Sydney and inspected with Henry. When we decided that this was the home for us, Henry undertook our negotiations for us. We saved time, stress and money and would definitely engage Homesearch Solutions again, whether we were living in Sydney or not ! My husband and I retained Henry to locate and negotiate a property for us in Sydney. We were living in London and looking to return to Sydney. The logistics of searching for and then buying a property in Sydney whilst living abroad seemed daunting but Henry made the entire process so easy for us. Henry worked around our time zone (London) and was always contactable. Henry searched tirelessly for properties in Bondi, Bronte and Tamarama that fit our brief. He had fantastic information about the best streets and property values. Henry would make enquiries of local Councils regarding development possibilities without us even having to ask and he liaised with our solicitor and mortgage broker which was a weight off our mind. Henry attended several auctions for us and really knew what he was doing (we listened in). In essence, Henry took care of the entire process, from searching to negotiating, dealing with our endless questions right through to settlement and arranging tenancy. We thoroughly recommend Henry’s services to anyone looking to buy a property – great service and value for money. We’re extremely happy with our new house and honestly would not have been able to do it without him. My partner and I decided a short while ago that we wished to buy our first property in Sydney, a daunting prospect, but even more so as we are living in the UK and are both unfamiliar with the Sydney property market. We made the decision to use the services of Henry Wilkinson and are very glad that we did. Henry advised us in various areas, including what suburbs would suit our price range and needs to what essential requirements are needed for an investment property: we learnt a great deal about both the Sydney real estate market and purchasing a property from Henry. We first used Henry’s services to appraise properties that we had located ourselves over the internet. He appraised a small number of properties for us and we were always impressed by the speed with which he would produce the extensive reports, often saving us money by suggesting an inspection only rather than a full appraisal. Too often today, businesses are there to make money out of inexperienced clients: this is not the case with Henry, who is both honest and a professional in every way. Henry also negotiated successfully on our behalf for our property in Marrickville. Again, he was invaluable for us as first time buyers, advising on the process of buying a house, continually being in contact with ourselves, our lawyer and mortgage broker up to the point where contracts were signed. If you are thinking of using Henry Wilkinson’s services, don’t hesitate. He was there for us every step of the way, advising like a trusted family friend. Home Search Solutions were instrumental in securing the home of our dreams. Henry was always available to answer any questions we had and kept us up to speed through every step of the negotiations. We have no hesitation in recommending Homesearch Solutions in finding and securing the home you’ve always wanted. I wholeheartedly recommend Homesearch Solutions to anyone keen to avoid the stress of negotiating the purchase of a new home or investment. After missing out on several properties in recent weeks, I engaged Henry Wilkinson to negotiate the purchase of a house in Pymble on my behalf. He not only saved me much stress, but his professionalism and good advice ensured that I understood well what I was buying and that I paid a fair price, and most importantly, that I got the property. I know that I would not have achieved this without his support. Henry was great. We identified a holiday house on the Central Coast and we left all the inspections, legwork, and negotiations to him as we did not have the experience or the time to do this properly. Henry was able to take out much of the emotion of the purchase and the whole process was reasonably stress free. Henry was always available for calls and questions and his pricing was fair and flexible. We are now looking at an investment property and look forward to working with Henry again. Buying a house from the other side of the world should have been a daunting process …but from the very beginning Henry made it easy. Always lightening quick to respond by email or phone – he thoroughly profiled the houses we suggested, showed great initiative in showing us properties we wouldn’t have though of…..and was thorough and honest throughout. Henry brings great experience, patience and intuition to his role. He found us our dream house and helped us negotiate it at a great price – we can’t wait to come back to oz and move in. We recommend him highly and will happily use him again for our next move! Living in a remote area, I decided after researching the Sydney suburb I wanted to invest in, to contact a buyer’s agent. Contacting Henry was the best thing I ever did. We had an excellent business relationship right from the start and I would never have purchased the property I did without Henry’s assistance. I would not hesitate to employ him in the future if needed and would not hesitate to recommend him to anyone I know in the remote Pilbara district who was contemplating a property purchase in Sydney. Since we were buying from overseas, we found the use of a Buyer’s Agent essential. We found buying through Henry so convenient that one property purchase actually turned into two! Henry provided excellent service – he was always reliable, contactable, and efficient, and made sure that everything went as smoothly as possible. His services are good value for money to begin with, but we consider that he covered his own costs through his negotiation skills on the properties, and we would consider using Homesearch again even if we were back home. We requested the help of Henry in the purchase of an investment property in the Eastern Suburbs area; he came highly recommended and contributed to our purpose nicely. Henry then proceeded in the search for a suitable investment property for us to purchase. He then lined up the inspections by appointment and also gave us the option of attending an auction on our behalf. In a matter of a couple of weeks we were prepared to put a deposit on a very suitable investment property Henry had found for us. Bottom line Henry gave us experience in the property search that we didn’t have and he also was able to handle all the details for us very satisfied clients. A very professional man who should be used for any one who is interested in buying property. Once again thank you Henry for all your help. I decided to engage the services of a property buyer because the owner of the unit I was interested in was a top real estate agent in the Eastern Suburbs and being originally from Ireland and this being my first property purchase, I wanted to be sure I had a professional on my side whilst dealing with the owner who I knew was going to try and use all his tricks of the trade. I phoned Homesearch Solutions and spoke to Henry straight away and within minutes he had told me how much the owner had bought the unit for and when and roughly how much he thought the unit was worth. After an inspection of the unit, Henry had a better idea of how much the unit was worth and it was certainly less than what the owner was quoting. Henry then proceeded to negotiate on my behalf with the owner and after only a few days we had an agreement on a price for the unit and at a price I did not think the owner would sell for. The advice I received from Henry was also invaluable to someone with no property experience in Australia. They say property purchases are one of the most stressful things you will do in your life but I don’t think I lost a wink of sleep thanks to the professionalism and advice of Henry. Thanks again Henry. First and foremost this is to thank you most sincerely for your sterling efforts on our behalf in bringing our house purchase to a successful conclusion. We are really grateful to you for handling the whole process, the fact we got there in the end is due in no small way to your professional knowledge and diplomatic probing. Your ever cheerful advice and wise counsel during the unexpected twists and turn of events since initial viewing have been greatly appreciated by us both. With best wishes and renewed thanks from us both. It is a with a great deal of pleasure and confidence that I recommend Homesearch Solutions to anyone who is interested in taking the nightmare out of searching for a property. We were very interested in purchasing an investment property in Sydney – yet unsure of how to manage the logistics from interstate. Believing that it would be all to difficult and time consuming meant that we actually delayed and delayed making a decision. After a conversation with Henry – the entire process seemed to be potentially quite painless! We found a Woollahra unit in the paper – asked Henry to check it out for us. Henry responded with a huge stash of fabulous photos and a comprehensive written report about the unit; the building; the market. With that, we did organise to attend an inspection and then requested that Henry acted on our behalf at auction. We were successful! The simplicity of the entire process was incredible and we are now plotting and planning more adventures, with Henry on our team – of course! We engaged Henry in a property search while living in San Francisco . 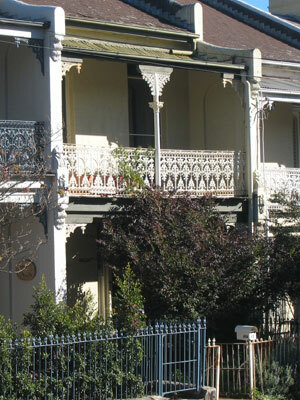 When we arrived in Sydney , he had an extensive list of suitable properties for us to view. He offered solid advice during negotiations, and provided a great deal of assistance in dealing with various government agencies. Throughout the process, he was unfailingly professional and pleasant to work with. We have used Henry on three occasions. Initially, he attended and bid at an auction on our behalf. We were impressed with his professional conduct right from the beginning. He advised and discussed with us the tactics for the auction in a patient and knowledgeable manner. He then did at the auction exactly what he told us he would do. On the second occasion, he represented us in negotiations for the purchase of a property on Darling Point Road. His knowledgeable advice led us to a successful purchase. He advised us wisely to stop bidding when he believed the price to be too high, even with the vendor’s initial stubbornness to reduce it at all. He always backed up his advice with evidence, either from his vast knowledge of Sydney property or from research he would readily conduct to aid your decision. Finally, Henry helped us again when we sought a tenant for the property. While most of the tenant-seeking was actually done by an agent, Henry was responsible for tasks like preparing the property for the tenant, liasing with the agent and negotiating lease terms. This deserves mentioning because such tasks require attention to detail, timely coordination and experience with leases and Henry’s competent completion of them showed me that he possessed such qualities as well. I would strongly recommend anyone who requires help in any aspect of property transacting, or the appropriate advice for such a transaction, to use Henry. It really is like having an uncle or a good friend in the industry who is willing to help. Henry Wilkinson cares about his customers and he possesses the required knowledge and experience to help them. We spent a few months to identify our first investment property when we lived in Sydney 10 years ago. Henry helped us to find our second investment property in less than a month, as we are now living in Hong Kong. The return rate, including his commission, is better than the first one. The whole process ran very smoothly, and we are very happy with Henry’s services. Being new to Sydney and having to concentrate all of our time on new jobs we were looking for somebody we could trust to provide independent advice, and help us remove some of the mystery around purchasing a property in the highly charged Sydney market. Henry and the team from Homesearch Solutions were able to provide us quality advice regarding where to purchase, options re sourcing finance, and assistance in closing the purchase of our home. We’ve made a fantastic purchase and are pleased to recommend Homesearch Solutions to others looking for quality, independent advice when purchasing a home. We found Henry Wilkinson of Homesearch Solutions a pleasure to deal with. He made home inspections so much easier as we didn’t waste time looking at properties that didn’t meet our needs and he was relaxed and friendly to deal with. I have no hesitation in recommending Henry Wilkinson and Homesearch Solutions to anyone looking to buy a property. …Thanks again for all your guidance and assistance. It’s been terrific. Henry’s service was attentive, responsive and complete. Being overseas and unable to view the properties myself I would recommend this service to anyone considering to purchase in Sydney. Henry, thank you for securing both properties in record time! I could not have done it myself under the circumstances. Homesearch Solutions saved me so much time and also provided contact with Real Estate Agents that I would not have had on my own. The constant updates either by telephone or email meant that I was also fully informed at all times. Henry also saved me many trips to Sydney by attending auctions and bidding on my behalf. The property I ended up buying was Private Treaty and Henry’s experience enabled him to negotiate well below the asking price. I also feel he is highly respected by the agents and is therefore advised of new listings well before they are advertised. Henry also saved me so much time and bother by organising my building inspections for me. I would definitely use Homesearch Solutions again. We first contacted Henry Wilkinson early in 2002 with a view to purchasing an investment property in Sydney. Over the course of the following 6 weeks, Henry did a large amount of research all of which culminated in us purchasing a property that exactly fitted our requirements. We found Henry to be helpful, knowledgeable of the local market and resourceful in finding us the property that best fitted our requirements. The photographs he sends cover almost every angle and aspect of the property giving the viewer a good idea of what is being proposed. Henry has also referred us to solicitors, mortgage and insurance brokers as well as a real estate agent to manage the property on our behalf, all of whom have been very useful. We would use Henry’s services again in the future should the need arise. You provide a truly value-added service for someone like myself – someone who has little knowledge of the Sydney property market and is time poor. I really appreciated the time you took to understand my needs and preferences and the fact that you stayed within the scope of my requirements when searching for properties. I would highly recommend the professional services of Henry Wilkinson of Homesearch Solutions. Henry was recently employed by me to find an apartment which would suit all of my requirements and he did so very efficiently and professionally. I found Henry very thorough in all his work, reliable and enthusiastic with a pleasant personality. I am writing to thank you for all of your assistance that you gave us with the purchase of our new house here at Frenchs Forest. I particularly appreciate your professionalism and commitment to helping us find the right house within our budget. I also liked the fact that you were able to locate a property that fitted all our requirements, especially with a large area for kids and within the desired location. Further to the search you saved us lots of time and stress by arranging the whole process which also included the building inspections, the solicitors and your efficient dealings with the Foreign Investment Review Board. On top of this you were able to negotiate a favourable price with the selling agent. … we still can’t believe we bought a beautiful apartment in 9 days. We never thought we’d find something so pleasant, let alone in this area. We were reconciled to much, much worse. You moved into action immediately, and inspected several long lists of properties, and your reports to us showed you had completely understood what we were after. When you realised the apartment we did buy was an excellent purchase, you helped us organise everything necessary to be able to bid at a couple of days notice, and then your bidding for us was very, very clever. We have no hesitation in recommending your services for anyone else. We are grateful and pleased with the results (and still can’t quite work out how it all happened so fast) . Please note that full names of referees have not been given above for client confidentiality purposes. However we are happy to provide written references or phone numbers to potential new clients upon request.